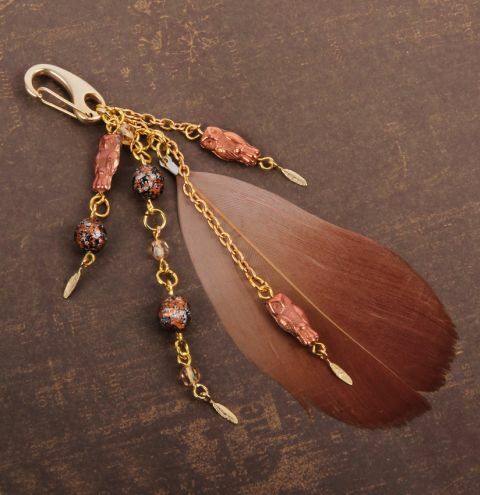 Learn how to make this autumnal-themed bag charm with new Preciosa owl beads! It'll look great on your leather bags or even as a key ring. Oh, and you'll have plenty of chain and beads left over to make more for family and friends. Just remember to get some extra clasps!